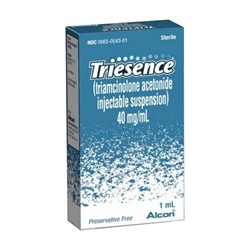 Sterile, corticosteroid Triesence 40mg in a 1ml single dose vial. 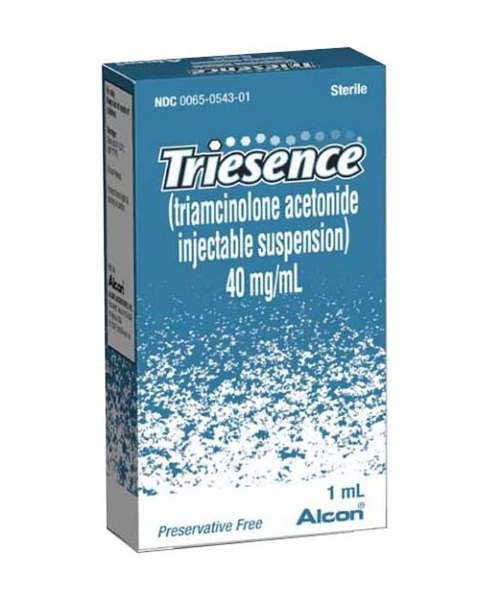 Generic name is Triamcinolone Acetonide. Preservative free. Manufactured by Alcon. NDC Number: 00065-0543-01. Comes as singles.